This will bring down a new section allowing you to manually enter in the RTMP and Stream Key provided by Facebook. To get the required information you will need to login to your Facebook account from a separate computer. 7) Back on your computer, add the required info for your Post. 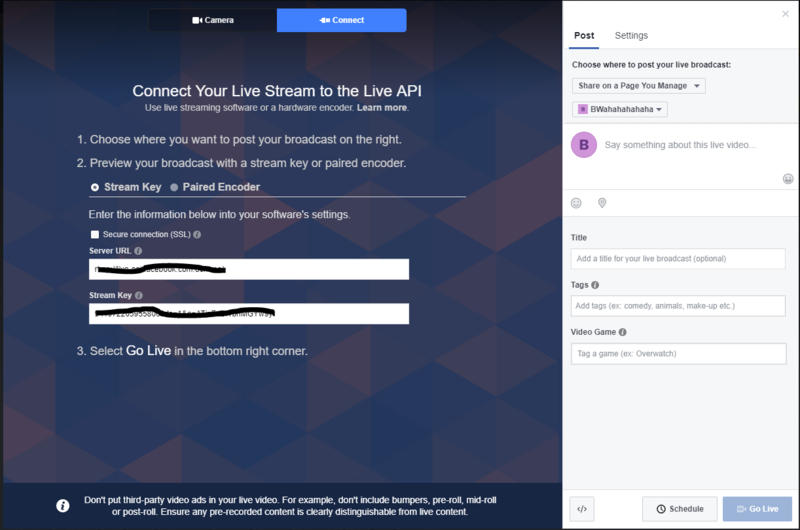 This will change to a preview of your stream and the Go Live button will be enabled for you to start the stream.